From the windswept plains to the majestic Flint Hills, the subtle beauty of the Sunflower State is best appreciated from its myriad wide-ranging trails. And whether you’re an avid hiker or desultory explorer, a bicyclist or horseback rider, this book makes a most congenial guide. An invaluable companion for exploring new trails or learning about accustomed routes, this comprehensive guide will tell you all you need to know (as well as what it might surprise you to learn) about the trails that crisscross Kansas—history and geography, wildlife and scenery, park locations and cultural possibilities, and, now and then, even a bit of geology and botany. The illustrated guide includes detailed full-color maps, GPS coordinates, and, of course, extensive route descriptions—through historic sights and prairies and state parks, to lakes and rivers and wildlife refuges. 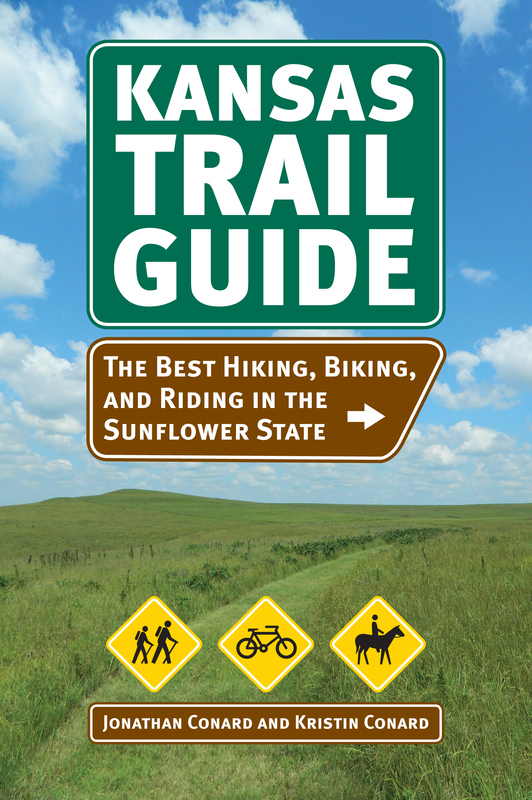 The authors identify the best trails for families or going solo; for running or hiking, biking or horseback riding; for hunting wildflowers, encountering wildlife, enjoying scenic vistas, or exploring Kansas history. They also include helpful descriptions of flora and fauna, and historical highlights for each area. Concise, complete, and engaging, this is the guide anyone journeying the trails of Kansas, seasoned hiker and armchair traveler alike, should not be without. Jonathan Conard is assistant professor at Sterling College, in Sterling, Kansas. Kristin Conard is a lecturer at Santa Clara University and the University of Santa Cruz, and a freelance writer whose work has appeared in many publications including Travel + Leisure, Conde Nast Traveler, and BBC Travel.